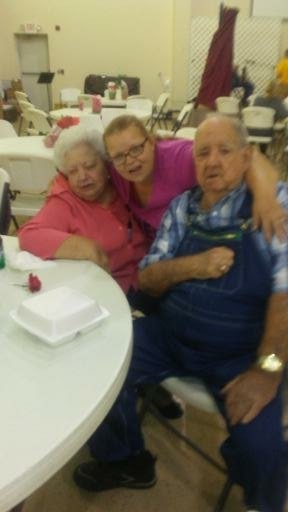 Obituary for Robert "Bobby" Bruce Sr.
Services for Robert “Bobby” Bruce Sr. will be at 10:30AM, Wednesday, January 10, 2018 at Beulah Baptist Church, Winnfield with Bro. Lamar Carpenter officiating. Visitation will be from 5PM until 9PM, Tuesday, January 9th and from 8AM until time of service at 10:30AM, January 10th at the church. Interment will be at Beulah Baptist Cemetery, Winnfield under the direction of Magnolia Funeral Home, Alexandria. Bobby, 83, passed away Sunday, January 7, 2018 at his home. 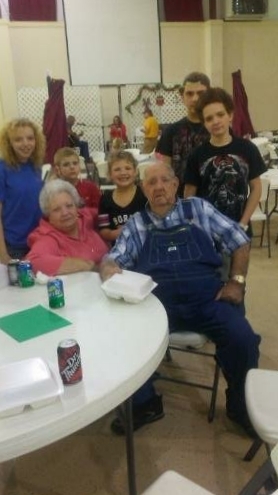 He loved hunting, fishing and picking with his grandchildren. He was preceded in death by his parents, Odis and Lessie Bruce; son, Tony Bruce; 2 brothers, Bud Bruce and Don Bruce. Those left to cherish his memory include his wife of 61 ½ years, Jane Bruce; children, Robby Bruce (Tracy), Brenda Navarre (Lawerence), Judy Breithaupt (John), Shelia Kirl and Lorne Bruce (Tracey); 23 grandchildren; 31 great grandchildren; 2 great-great grandchildren; 2 brothers, Larry Bruce and Joe Bruce; 2 sisters, Cokie Fife and Beth Foster; his fur-baby, “Baby”; and numerous other relatives and friends. Pallbearers will be Smiley Fife, Bruce Hesters, Andrew Traylor, Adam Bruce, Kent Hatfield, Fruit Taylor and Rusty Johnson. Honorary pallbearers will be his grandsons.